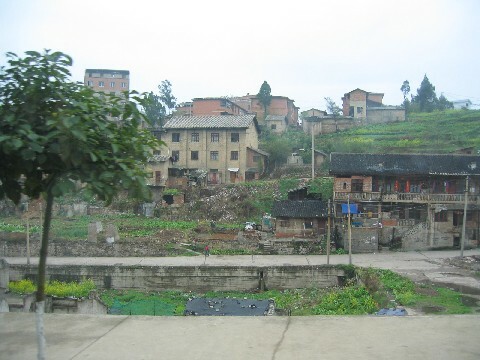 Kaili city is the capital of the Qiandongnan Miao and Dong Autonomous Prefecture of southeast Guizhou . 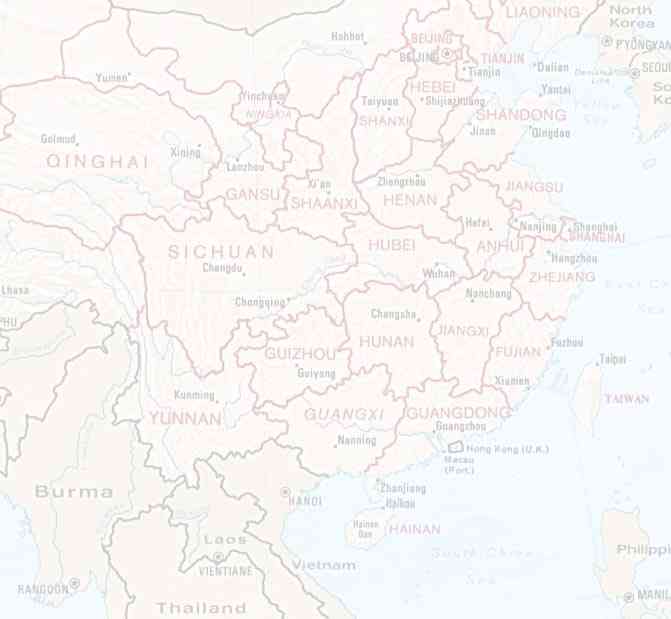 Ethnic people account for 70 percent of the population of 470,000. In and around Kaili itself there are a number of industries that include building materials, textiles, paper-making, electronics, and engineering. 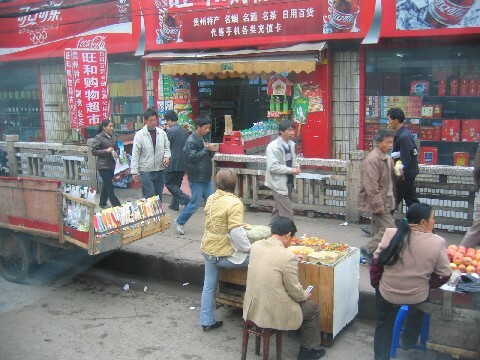 This is the area of Guizhou most frequented by tourists. However, the majority concentrate on Kaili, and the few ethnic villages in the immediate vicinity, thereby missing out on many fascinating areas only a short drive away from the city. 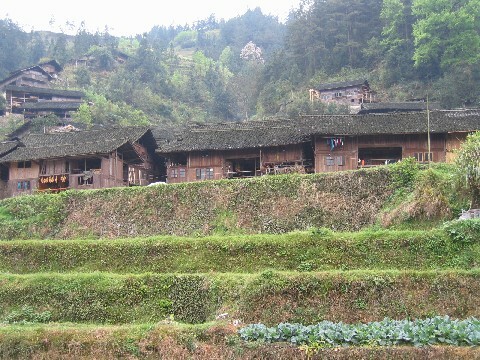 The lansdcape is very attractive, with its terraced rice paddies and extensive karst scenery, but perhaps the main reason for travelling to this area is to explore the fascinating Miao, and Dong areas. 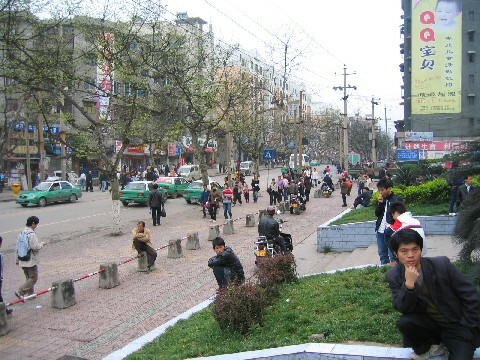 Funcional and compact, Kaili is oriented around the Beijing Lu/Zhaoshan Lu intersection. a crossroad generally known as Dashizi. Split by Dashizi into east and west sections, Beijing Lu holds most of Kaili's shops and businesses, while Zhaoshan Lu extends a short way north into the older residential end of town, and south past more shops into the countryside. 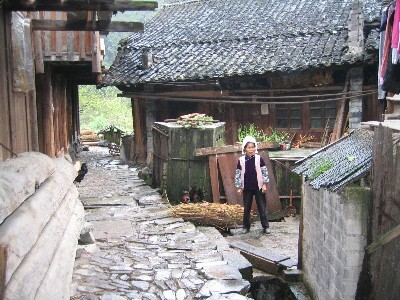 The major problem around Kaili is deciding where to go, as there are many Miao villages whithin a couple of hours drive from town. Markets, which generally operate on five-day cycle, festivals, make the choice much easier - most festivals take place in early spring, early summer, and late autumn, when there is little to do in the fields and plenty of food to share.